The existence of hand painted tiles goes back a long time, and is definitely the more expensive and luxurious choice for interior design. However, as wages grow and demand grows, hand painted tiles have become harder to actually paint by hand, so instead a lot of manufacturers have moved onto printing hand painted designs onto multiple tiles, allowing them to sell the tiles in bulk at an affordable price. Apart from that, there are many other benefits as to why printing hand painted tiles is a lot better than manually painting them. That goes both for the business and the consumer. Firstly, we have the idea of demand and supply. As mentioned earlier, the demand for hand painted tiles has grown and become more available. People are liking the more traditional and authentic look that beams from paint brush strokes, so businesses have to create more. Hand painting tile the same pattern takes up a lot of time to produce, so smaller businesses who cannot afford to employ a lot of people would not be able to meet the demands of the customers. Tiles painting is also a lot more expensive than printing. As a business you may employ someone to do the painting, so that’s a wage to supply. You also need a lot more equipment that has to be constantly updated and bought new. Whereas with printing, whilst the set up cost can be quite high, in the long run it is a lot cheaper. In turn, that makes these beautiful custom made tiles a lot cheaper for customers. It also definitely looks better. Whilst some may argue that hand painted tiles add authenticity and a look that won’t exist in any other home, there can still be mistakes. Remember, manually hand painting each tile is bound to have a lot of human errors in it that even the best professionals don’t notice. With printing on the other hand, an artist can design one tile pattern and re print it, making them completely identical and symmetrical every time. See, you get perfection at a lower price! The process of printing is much better for the environment than manual hand painting. How so? If you are interested in buying some hand painted tiles to give your home the finishing touches, get in touch with one of our friendly team members today. Let’s break down the process. Hand painted tiles require paint and different chemicals to make sure the tile doesn’t fade or the paint doesn’t chip off. The paints, brushes and everything in between usually comes in plastic containers, even more so if it’s being delivered from another location. So if a tile painter has to keep buying those paints, they contribute to the demand of plastic production. Printing on the other hand, significantly reduces the need for those paints and chemicals as they are only used a fraction of the amount of manual hand painting. This eliminates the need to deliver the paint by a truck, which causes CO2 emissions, too. On the subject of time, hand painting each order is extremely time consuming, leaving the business with no time for other pressing matters. The speed of printing means a tile painter can have more time to explore different styles and get inspired by what is around them. An inspired painter means more variety of tiles out there for you. One thing many people find with hand painted tiles is that they fade over the years. This may come as no surprise, but it is the right of the customer to demand the best quality products for their money. Hand painted tiles fade much quicker than printed tiles. This is mostly down to the technique. A printer has a lot more power and different ways to imprint the design so that it lasts longer. It simply means it does a better job than a human with some glazing can do. Printing is also a lot safer for the manufacturers. Believe it or not, those chemicals used to make your tiles last are not that safe when they are still in liquid form. Breathing in such chemicals can be really bad for our health and should be avoided. The risk of getting cut on a broken tile is also a lot bigger when dealing with manual hand painting. Again, human error happens and sometimes a tile can be dropped and can smash. Although this type of work should be done with gloves on, sharp edges of a ceramic tile do have the potential to cut your hands. This can leave the person open to infection and also slow down production. Overall, printing hand painted tiles is a step-up from traditional ways, and one that has benefited the business and the consumer. It reduces costs on both sides, and makes customers happier with their finished product being done faster. All our staff is equipped with years of experience and knowledge. We also cannot be beaten on price, but to make sure you’re in the clear, we offer a free consultation service and promise no hidden fees. 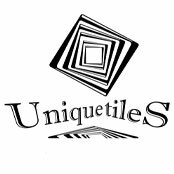 At Unique Tiles we truly believe that customer satisfaction is the key to a good business. This is why we use a printing method for our hand painted tiles. This change in the industry has meant we can now provide the same best quality tiles as we provide in other areas (such as mosaics) without having to break the bank on our behalf or yours. All our designs are handpicked and based on what trends are currently going on in the home interior industry and what customers like. Alongside great stock, we never let ourselves compromise on the type of service we give. When you contact us, from the initial phone call to the end result, we will make sure everything goes exactly as you want it. We are just as passionate about designing your home as you are and as professionals working in the industry for many years, we always choose the best techniques for our customers. Compromising on quality is not in our values or traditions; that’s why we use the best equipment to create each and every single tile without fail.